Happy Saint Patrick's Day friends. 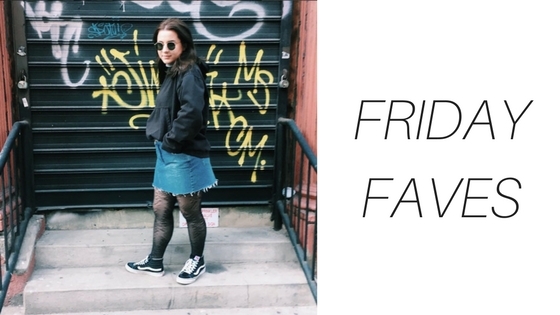 This week's Friday Faves is brief, but hey at least I did it right? Today I'm sharing recent purchases that I've been obsessed with. I got this Haloscope highlight from Glossier for Christmas, but I've just started to get in the habit of using it almost daily. The reason being I've applied it differently than I used to when I initially got it; I used to use it under my foundation because I was scared if I rubbed it on over it, my foundation would slip and slide everywhere. What I've been doing now is using my finger directly on the product, and patting it over the spots I want to highlight. It looks SO natural and glowy and adds a gorgeous dewy effect to my usual matte face. The only trouble I have is applying it to the tip of my nose, it just makes the foundation there break up and look greasy. Use my link here to get 15% off your first purchase at Glossier. My mom sent me a Valentine's Day package (she's the best) and included a bunch of Sephora sheet masks. I love all of their sheet masks (affordable and effective) but the lip mask amazed me the most. I've always had dry lips - no matter how much chapstick or gloss I put on, at the end of the day they're still dry. Not necessarily chapped, but they don't look hydrated like I'd prefer. This lip mask is a sheet you wear on your lips for 10-15 minutes and I couldn't believe how hydrated my lips were after. I even noticed it over the next 2-3 days how hydrated they look! I literally ran back to my Sephora and bought two more. I was sent this cushion foundation from Influenster a few months ago. I tried it initially, loved it, but hesitated to continue using it simply because the color they sent me was too pale for me. Usually I use the Garnier BB Cream for daily foundation, but when I was on Long Island with Mike last week I started to think it looked too dark on me. So to fix that, I dab a little bit of the BB cream all over my face, then dip my beauty blender into the cushion foundation, and I use that to blend everything out. It mixes both shades to give me a better color and it also is hydrating because of the BB cream but has a really great finish from the cushion. The best part about cushion foundations is you never apply too much product, so I'm a huge fan of this. Another plus about the cushion is I don't notice it fading off after a long day. 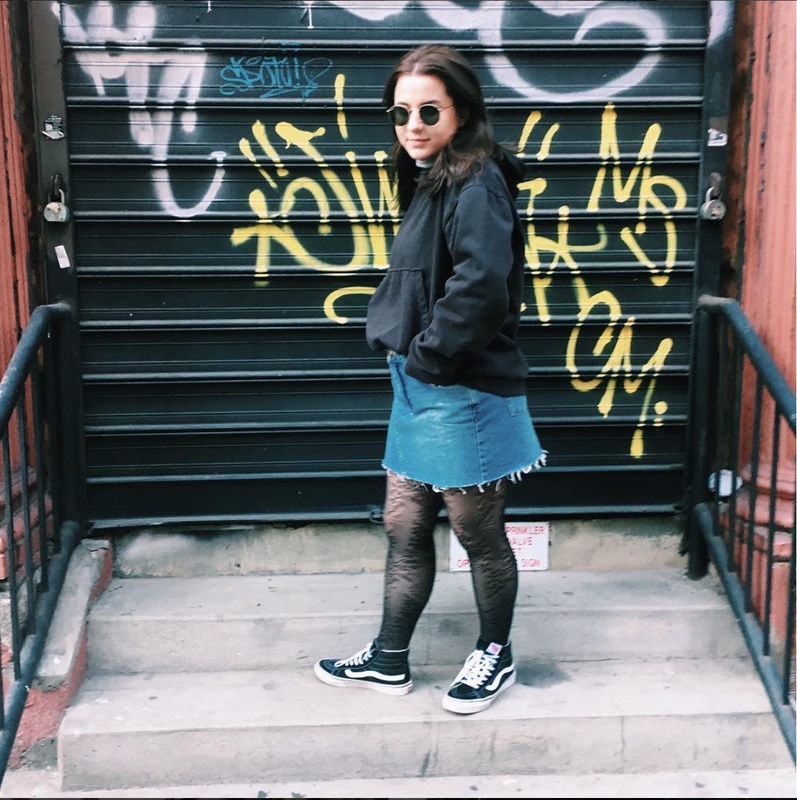 I've wanted a denim skirt for a while now, and I finally made the purchase. I really wanted this mainly because it'll be a nice change up from my typical denim cutoffs I wear all spring/summer. I can't wait until it gets warmer because I'll probably be wearing this everyday with a graphic tee and sneakers. This was slightly an impulse buy, but I'm SO not regretting it. I wanted a plain black hoodie with no graphics or logo so I can just throw it on with jeans, I wear it with these pants (on sale btw), I sometimes add a turtleneck under it, and it's so great to have for traveling. The reason I got mens was simply because I wanted a looser fit, and half the time men's apparel is cheaper than women's, so win win. 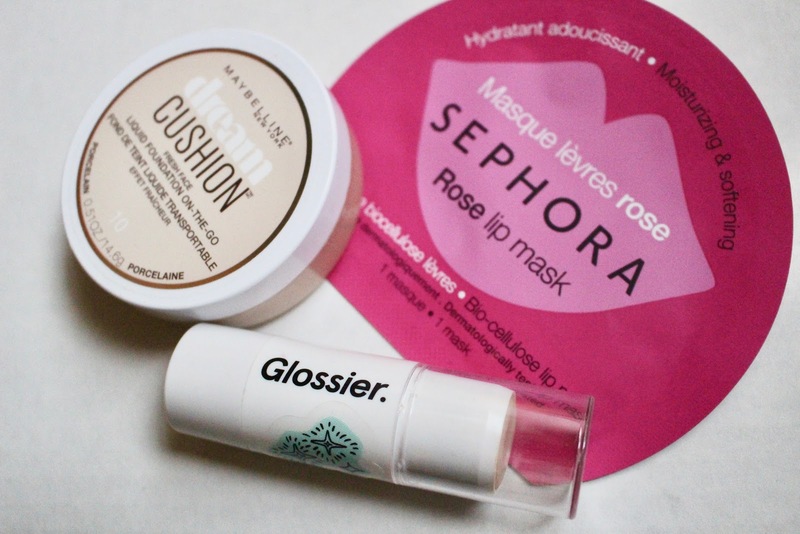 Ugh I need to try glossier still!! And urban is the besttt!